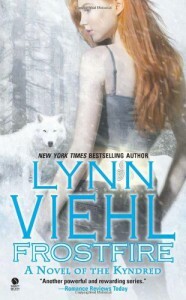 "Frostfire" is the third book in the Kyndred series, which is an offshoot of Ms. Viehl's earlier Darkyn series. I should note that I received an ARC of this book for free from the author. This book is my second favorite so far (I liked the second book the best). The story takes a while to get started, but when it does it rocks. 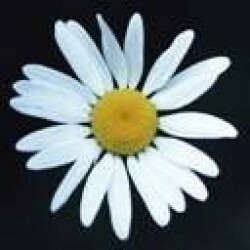 It centers around Lilah, a Kyndred who can talk to animals, and Walker, a mysterious man who, like Lilah, has been kidnapped by unknown persons. They manage to escape their captors and find themselves stranded in a small town in the middle of nowhere that contains its own deadly secrets. Throw in some characters from previous Kyndred novels and Darkyn novels, and it's a great ride. In particular, I love that Lilah had a backbone and didn't always wait for someone to come rescue her. Walker was protective, but Lilah stood up to him. I like strong female characters like this. While I enjoyed this book immensely - and I have a review of the next book "Nightshine" coming up - I don't recommend anyone new to the series start with this book. New readers would be lost because of the references to things that have happened in the past and the inclusion of the Darkyn characters. New readers should start with "Shadowlight" (Kyndred #1) and then "Dreamveil" (Kyndred #2).